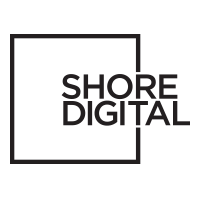 JOBS360 is a Proud Division of Shore360 Inc.
and willing to give 120% while having fun, then we may have a position for you. FIND THE JOB THAT’S RIGHT FOR YOU. At Jobs360 our goal is to connect the best people with the best roles. 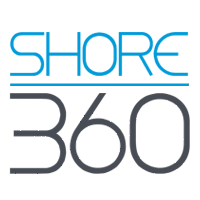 Being a proud division of Shore360 inc and member of the Shorefamily we offer an amazing place to work with fantastic clients and great jobs to suit all career aspirations. To find a job that is right for you, search all the open positions available and apply today. Search and apply for the job that’s right for you. You can also sign up for email job alerts to stay informed about the latest opportunities, as soon as they become available. I was able to gain knowledge and confidence in my everyday work in the new job I found through Jobs360. I thank the company and Jobs360 for being such a good influence especially in my professional life. Job360 is a great help for me especially when I was looking for a job back then. Currently, I am enjoying a lot in my new company and this wouldn't be possible without Job360's awesome help. I was searching for an online job and I ended up on Jobs360. Jobs360 is a rock solid job platform. I am thankful to have found it. Jobs360 gave me the chance to prove myself! While browsing on different job sites, I saw the post of Jobs360 hiring for Digital Marketer. Jobs360 is the best place to show my talent and skills! Jobs360 is the best place to find and hire top caliber staff to provide you superb support for your business needs. Job360 helped me build my foundation since I started in the company as a fresh graduate. And I'm glad I chose the right company who I would grow with. Great assistance and follow ups are Job360 key factors that led me to the right job and the right company. When I decided to work locally (former OFW), Job360 guided me properly to find what I was looking for. With my current job, I was able to continue my profession with awesome co-workers and a beneficial working environment. Jobs360 is a place where you can show your talent. Job360 a full of opportunities!